Who: Architect Tom Kundig, FAIA, and a partner in the Seattle-based firm Olson Sundberg Kundig Allen. Tom is widely recognized for his poetic, elemental and intuitive designs. His projects revere the beauty of the American West. Tom Kundig uses art, craft, and materials to connect us with the landscape, and he creates serene places for contemplation and repose. What: Recipient of the Smithsonian’s Cooper Hewitt National Design Museum Architecture Award for 2008. When: The winners of the 2008 National Design Awards will be honored at a gala dinner October 23 at the Smithsonian’s Cooper Hewitt, National Design Museum as part of the third annual National Design Week (Oct 19 – 25). The chair of the October 23 gala is Richard Meier, and the vice chairs are Beth Comstock and Chris Travers, Simon Doonan, John Kamen, Ambra Medda and Craig Robins, Madeleine Rudin Johnson and W. Bruce Johnson, Lisa Roberts and David Seltzer. Where: The Smithsonian’s Cooper Hewitt, National Design Museum is located at 2 East 91st Street, New York, NY 10128. The Smithsonian’s Cooper-Hewitt, National Design Museum is the only museum in the nation devoted exclusively to historic and contemporary design. The museum presents compelling perspectives on the impact of design on daily life through active educational programs, exhibitions and publications. Founded in 1897 by Amy, Eleanor and Sarah Hewitt—granddaughters of industrialist Peter Cooper—as part of the Cooper Union for the Advancement of Science and Art, the museum has been a branch of the Smithsonian since 1967. SEATTLE – The American Academy of Arts and Letters, recognized for honoring the most noted artists, architects, and writers in the U.S., has awarded Tom Kundig, principal of the Seattle-based architecture firm, Olson Sundberg Kundig Allen Architects, one of its three Academy Awards in Architecture for 2007. The awards, chosen each year by a prestigious jury of architects, recognize an American architect whose work is characterized by a strong personal direction. An awards ceremony will take place at The Academy of Arts & Letters in New York City on May 16th, 2007. 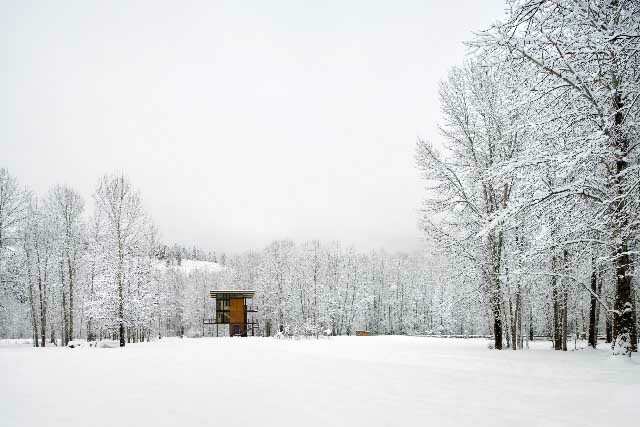 In addition, the AIA recently awarded Tom Kundig two AIA Institute Housing Awards for 2007 for his Delta Shelter in Mazama, Washington and Tye River Cabin in Skykomish, Washington. Founded in 1898 to “foster, assist, and sustain an interest in literature, music, and the fine arts,” the Academy has since bestowed its prestigious Award in Architecture to the profession’s most distinguished practitioners. Tom Kundig joins the ranks of some of the 20th century’s most acclaimed architects, including jury members Henry N. Cobb, Peter Eisenman, Michael Graves, Hugh Hardy, Steven Holl, Richard Meier, Cesar Pelli, and James Stewart Polshek. “To be recognized by this particular Jury alongside three fellow architects whom I’ve always deeply admired for their individual spirit and exploration is truly an honor,” said Tom Kundig. With respect for the environment, Tom Kundig projects consistently reveal his reverence for materials, while combining art, craft and the experience of built space. Creating some of the most inventive structures today, buildings by Tom uniquely meld industrial sensibilities and materials such as steel and concrete with an intuitive understanding of scale. 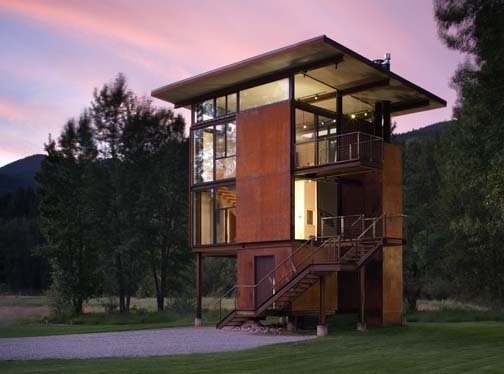 A telling example is the highly-lauded Delta Shelter, a 1,000 square-foot weekend cabin, a steel box on stilts featuring characteristic gizmos by Tom Kundig, that can be completely shuttered when the owner is away. Delta Shelter is one of five projects revealed in depth in the award-winning architect’s first monograph, Tom Kundig : Houses, published by Princeton Architectural Press earlier this year. From early conceptual sketches by Tom to photographs of the completed residences, the book gives insight into the highly creative process that goes into Tom Kundig’s personal language of “making”. 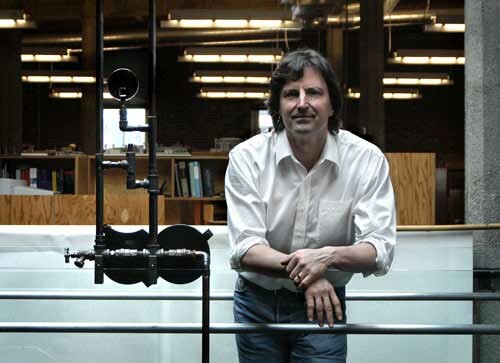 Tom Kundig will do a book signing at Potterton Books’ booth at ICFF on May 20th, from 1-2 pm.